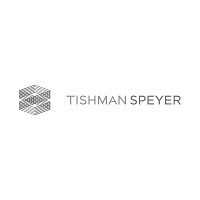 For over three decades, Tishman Speyer has been committed to developing, redeveloping and operating our buildings with a higher level of efficiency. We use technology and innovation through every stage of a property’s lifecycle in order to reduce energy and waste, and to manage our resources better. Actions to use renewable energy, recycle building materials, reduce waste and conserve water are grounded in economic decisions to help reduce our operating expenses and mitigate energy price risks. Simply put, we follow sustainable practices in every one of our properties because sustainability builds value.